Everyone knows what shampoo is. Most people use it every day. Americans love squeaky clean hair but is that the best thing for us? I have a different opinion ever since I discovered Deva No Poo cleanser and conditioner. This product was originally introduced for curly textured hair to super-moisturize it, so as to control frizz. I find that it works well for most hair types. The reason is that it is for the scalp more than the hair. Hair is a fiber and it is not really that absorbent. Most conditioners and oils just sit on top of the hair. Hair also does not get really dirty for the same reason. Fragrance such as smoke from tobacco or food are the most frequent culprits. Hair needs it’s natural oils, fatty acids and moisture to look its best. Sudsy shampoo is designed to rid the hair of these beneficial elements. Suds or surfactants were created in the 1940s for marketing purposes for laundry soap and the trend caught on! Sold as a feel of luxury, the public still loves it while at the same time wonders, why is my hair so dry? Fast forward to new products like Wen which is sold on TV and has enjoyed major success. I truly believe this no suds revolution is too significant to be ignored. It will continue to capture market share. 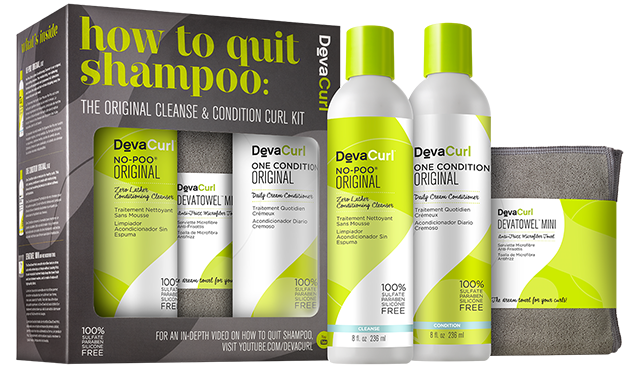 Other products are sure to follow since Deva has been growing at a rapid pace since its introduction to the market.